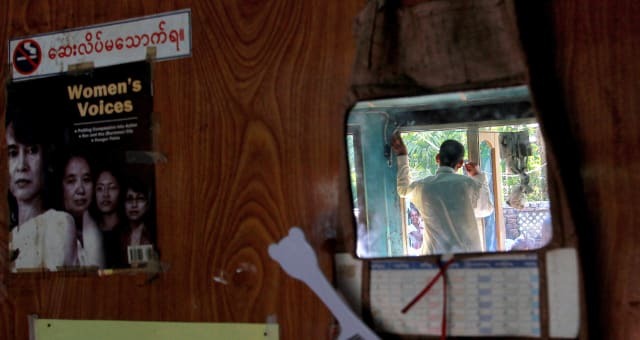 YANGON, Myanmar (AP) - Doctors Without Borders said Friday it has been expelled from Myanmar and that tens of thousands of lives are at risk. The decision came after the humanitarian group reported it treated nearly two dozen Rohingya Muslim victims of communal violence in Rakhine state, which the government has denied. The humanitarian group said it was "deeply shocked" by Myanmar's decision to expel it after two decades of work in the country. "Today for the first time in MSF's history of operations in the country, HIV/AIDS clinics in Rakhine, Shan and Kachin states, as well as Yangon division, were closed and patients were unable to receive the treatment they needed," the group said in a statement, using the French acronym for its name. Myanmar's presidential spokesman Ye Htut had criticized Doctors Without Borders in the Myanmar Freedom newspaper for hiring "Bengalis," the term the government uses for Rohingya, and lacked transparency in its work.